Nine contemporary Myanmar artists explore urgent issues challenging their country today. Curators Pamela Blotner and Mie Preckler present Speaking Out: 9 Myanmar Artists. The exhibition was inspired by the Artists Beyond Boundaries exhibition and workshop Project that Blotner and Preckler brought to the American Center of the U.S. Embassy and Pansodan Center Art Scene in Yangon, Myanmar, in June, 2017. 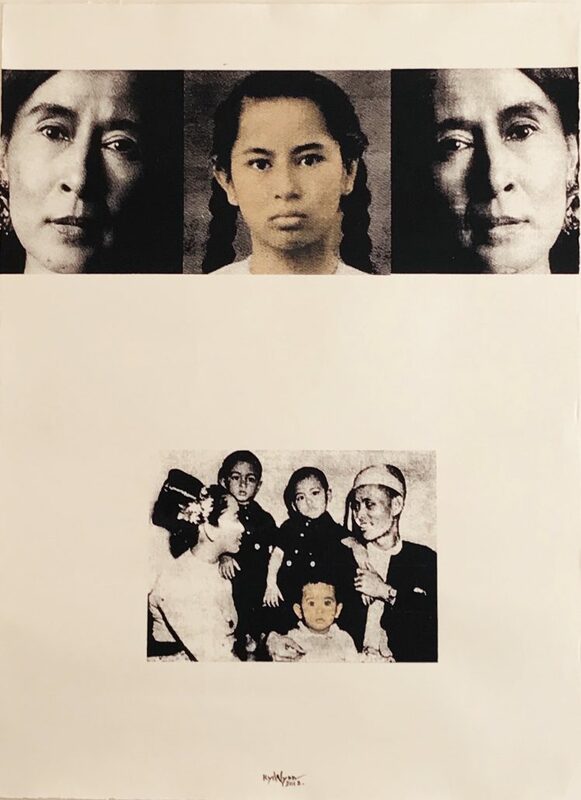 The Abrams Claghorn exhibition features nine contemporary Myanmar artists: Htein Lin, Ko Z, Kyi Wynn, Nge Lay, Phyu Mon, Soe Yu Nwe, Cynthia Theint Soe, Zoncy and ZZDD, who explore a range of human rights issues, including civil conflict, repression, displacement, and environmental exploitation. The exhibition features artists who had lived and worked under dictatorship, as well as artists who came to artistic maturity during Myanmar’s transition to democracy under Aung San Suu Kyi’s leadership. Each artist is represented by works on paper – drawings, prints, paintings and photos – and a statement about the work. Documentation of the 2017 Yangon workshops will be on display along with several of the collaborative works made by the artists, curators and visitors who attended. Events surrounding the show will include artist and curator talks, a film screening, workshops, and an artists’ experimental collaboration event. The Artists Beyond Boundaries exhibition, workshops, and collaborative studio experimentation work in different ways to take the temperature of visual art in Yangon and how transition, expansion and growth continue to emanate from the new freedom and expanded geographical and conceptual boundaries being tested by this sampling of 24 active artists. Our mission is to foster an international community of artists and professionals who share an interest in exchanging art, media, process, and ideas. At a time when many international boundaries are turning into barriers, we are convinced that the arts and artists share a creative language that can heal and bring people together. Dau Dai Tumzang (b. 1982), also known as ZZDD, grew up in a small village in Northern Shan State on the Myanmar/China border. His creative work aims to inspire youth, and comments on social issues such as the ongoing civil conflict in Kachin and Shan State, as well as the importance of maintaining Myanmar’s diverse cultural identity. Htein Lin (b. 1966) is a painter, installation, and performance artist who spent almost seven years in jail (1998-2004) for political activity. While imprisoned he developed his artwork using whatever mediums were available to him. In the absence of brushes and canvas he used cigarette lighters and cotton prison uniforms to make his paintings. He remains one of the most active political artists working today. Z Hkawng Gyung (b. 1973), also known as Ko Z, grew up in southern Shan State and attributes his connection to the natural world to his roots in the hill states of Myanmar. He now lives in Yangon and creates photographs, performances, and installations inspired by place, displacement, social injustice, and environmental exploitation. Recent works deal with the harsh lives of ethnic insurgents forced to flee their homes for the border regions of Myanmar. Z Hkawng Gyung (b. 1973), attributes his connection to the natural world to his roots in Shan State, in the hill states of Myanmar. He now lives in Yangon and creates photographs, performances, and installations inspired by place, displacement, social injustice, and environmental exploitation. Recent works deal with the harsh lives of ethnic insurgents forced to flee their homes for the border regions of Myanmar. Kyi Wynn (b. 1970) was born in Mandalay, where he began his painting and silkscreen career. His vivid paintings and prints depict, and sometimes critique, Myanmar’s social and political life, including candid depictions of his country’s problems, and images Aung San Su Kyi. Most recently, he has created a series of portraits of world leaders and Asian Nobel Laureates. Nge Lay (b. 1979) is a multimedia artist with a focus on performance and photography. 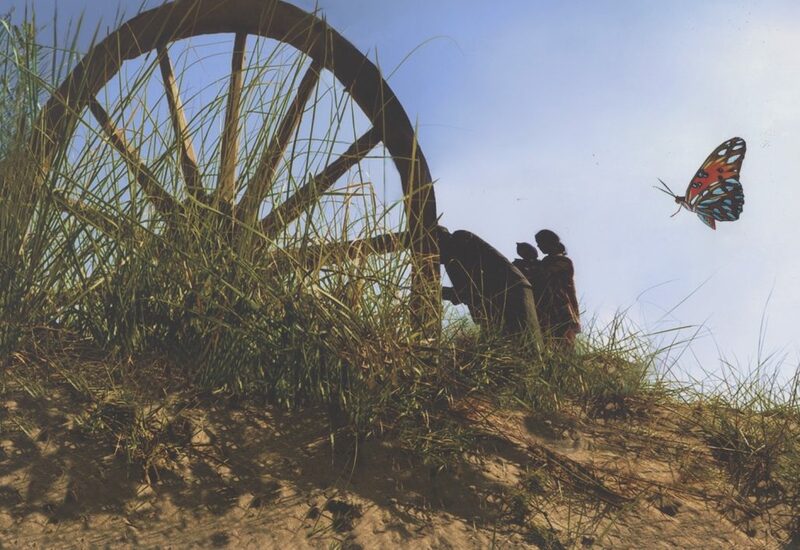 Many of Nge Lay’s works reflect, in her own words, “her inner perception of the prevailing societies in Myanmar,” and how her country’s historical background has informed her own life and work. She currently lives and works in Yangon. Phyu Mon (b. 1960), a pioneering feminist photographer and video artist, is the founder of Blue-Wind, an independent nonprofit association dedicated to women artists and writers. She is one of the very few women artists in Burma who currently works with digital photography, a medium that has propelled her examination and representation of the angst that many Burmese women experience. Soe Yu Nwe (b. 1989) earned her MFA degree at Rhode Island School of Design in 2015. As a third generation Chinese immigrant in Myanmar, she draws inspiration from Buddhist and Animistic practices from her native country, in addition to Chinese cultural practices. Her experience of living cross-culturally has inspired her to reflect upon her identity and depict it as a fluid, fragile, and fragmented entity.